The UN-ESCWA Technology Center/ Amman (ETC), the Islamic World Academy of Sciences (IAS), the Royal Scientific Society (RSS), John Templeton Foundation, the Muslim World Science Initiative and the Turkish Society for History of Science (TBTK) and ISESCO organized on 5th May 2016, in Amman, Jordan, under the effective patronage of HRH Princess Sumaya bint El Hassan, President of the Royal Scientific Society (RSS) an International Seminar on Islam and Science entitled: “Islamic Perspective on Science’s Big Questions”. The seminar that gathered a range variety of specialists, aimed at highlighting the values of Islam which support and instill the critical pillars aiming at developing knowledge-based economies, such as critical thinking, creativity, education and innovation, as well as discussing the reconciliation process sought between Islam and Innovative Sciences among scientists and community leaders. Discussions during the seminar generated a broad variety of opinions, and comments. ISESCO presented its point of view and stressed on the fact that Science should indeed be considered as a driving force, a common heritage and a vector for dialogue among peoples and cultures with the main goal to promote dialogue disclosure, and debate and to serve as a vehicle for public education. Moreover copies of the ISESCO publication “Islamic Perspectives in Modern Science” were distributed in order to highlight relationships between Islamic and cultural thought and science, especially in its methodology, results and world vision. 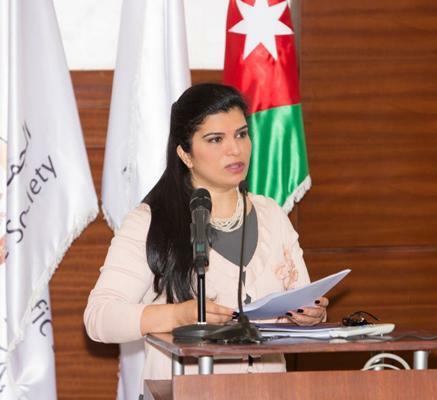 H.R.H Princess Sumaya Bint El Hassan, President of the Royal Scientific Society (RSS) launched the report on “Islam and Science” prepared by Muslim-science.com’s task force.